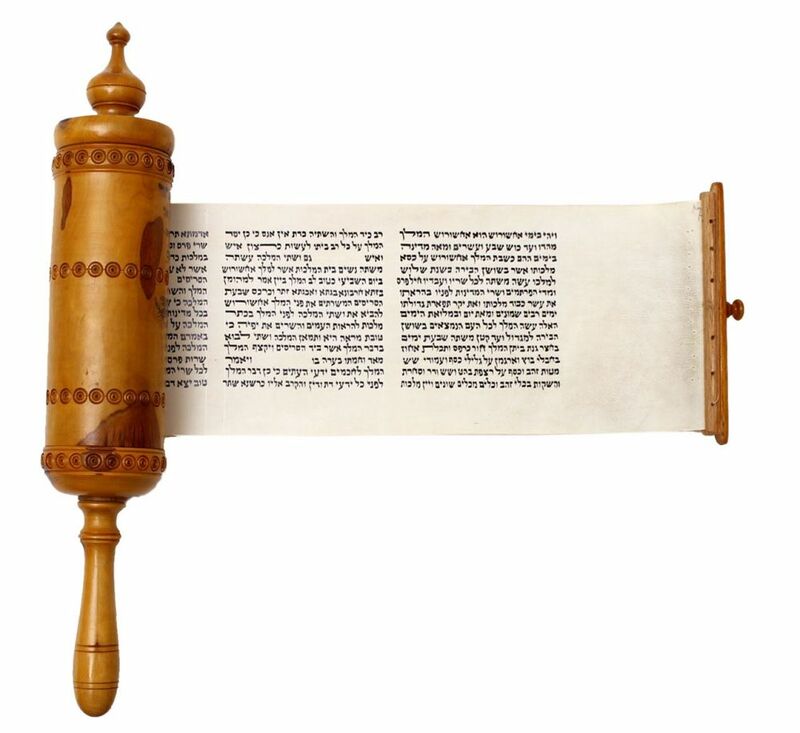 Bidspirit auction | Megillat Esther, handwritten on parchment. 14 lines per column, size of the parchment 12cm. Housing made of wood decorated by carvings, in the center of which is an illustration of a bird on a branch. Top of the housing has an inscription “Megillat Esther, State of Israel, holy city of Jerusalem.” Total size of the house: 35cm. Good condition.